Wilhelm Luttgen became a mechanic with the Daimler Company in Stuttgart in the 1890s. When he learned that he could make more money if he delivered cars for the company, he applied for the position. He delivered the first Mercedes to Baron Edmond James de Rothschild in Paris. He stayed six weeks while he trained their coachman to drive and do simple maintenance on the Mercedes. One Sunday, the Rothschilds decided to have a picnic lunch at one of their estates outside the city. The provisions were sent ahead in carriages. Wilhelm drove the family in the Mercedes. When the family was ready to eat, they invited Wilhelm to sit and eat with them. He said that no Baron in Germany would have ever done the same thing, because he would have been considered servant class. It was his first real experience with democracy and he liked it. 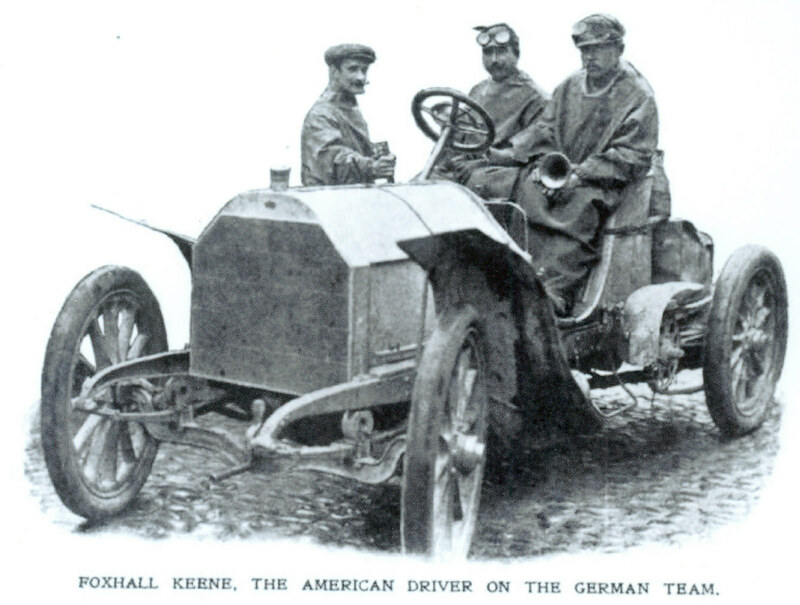 Foxhall Keene was a big international sportsman at the time. When he bought a Mercedes racing car in Germany, he needed a riding mechanic. He hired Wilhelm. 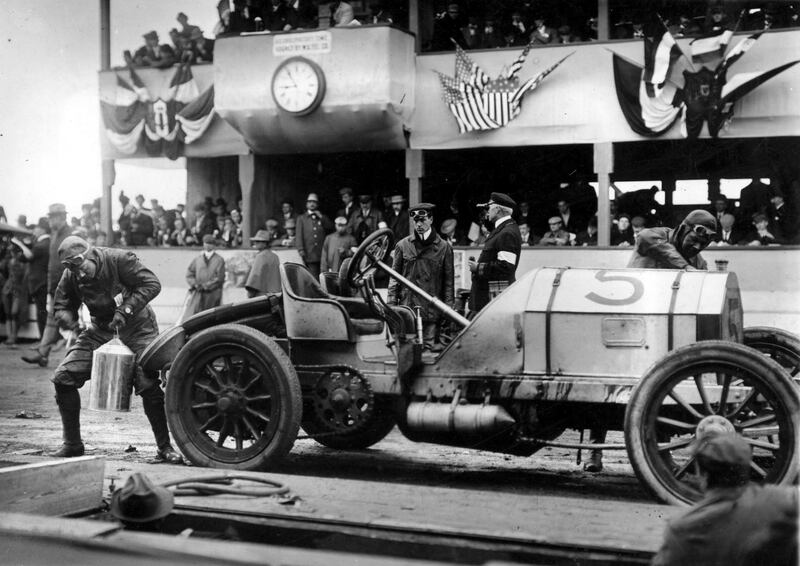 One of their fastest drives was not on a race course, but driving from Germany to Paris to make the start of a race. 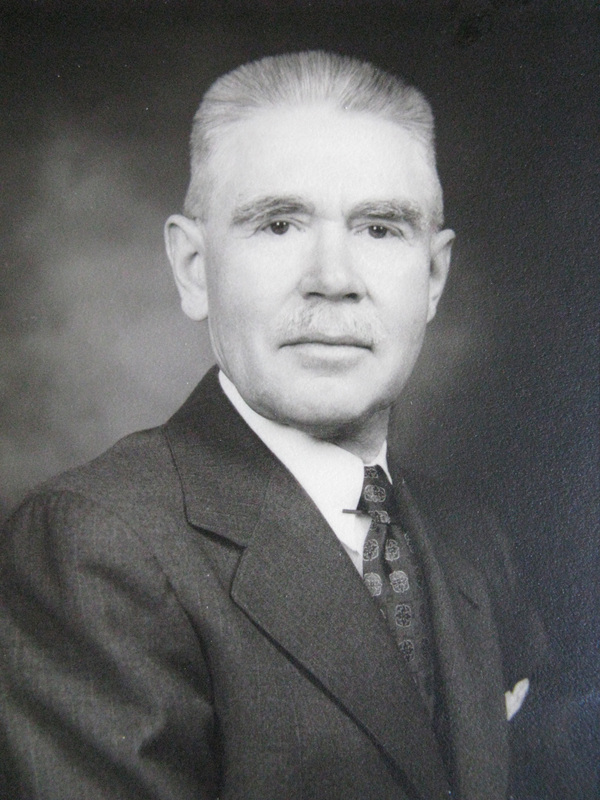 When they had to cross the border into France, Foxhall Keene did not have the papers he needed, but William had his military papers, and posed as the owner and got through without a hitch. They made it to the first Paris to Madrid race, which was actually stopped before entering the Pyrenees Mountains because of the fatalities up to that point. 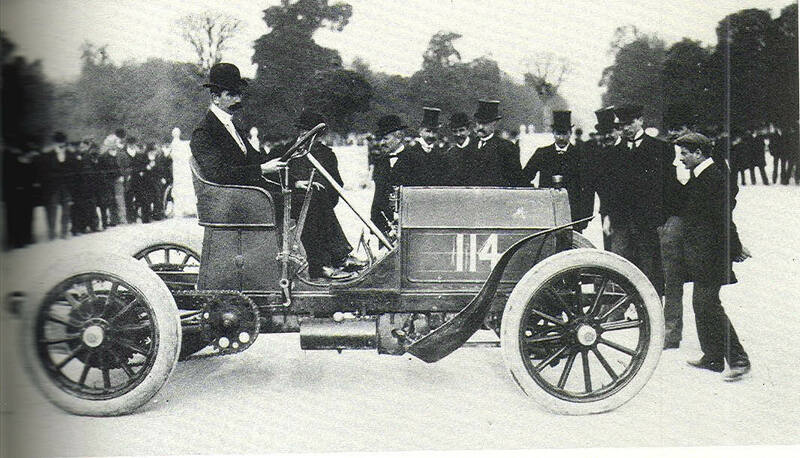 They also drove in the Gordon Bennett Cup Race in Ireland in 1903. Before the race, when they were driving in the countryside, they ran out of gasoline. None was available so they bought all the rubbing alcohol from a pharmacy and drove on it until they could get gasoline. With a 4:1 compression ratio they could burn almost anything. Later in 1903, when Wilhelm felt that he could provide his mother with enough income so she could stop working, he came to America. He arrived at Ellis Island. He started using the English William as his name and discarded the umlaut over the “u” in Luttgen. The next day he filed his first papers for American citizenship. Foxhall Keene gave him excellent references. He had no problem getting a job with a machine shop in New York. When owners of Mercedes learned that he was experienced with Mercedes cars, it brought the company much business. He talked to the three owners of the business and asked them if they would consider taking him in as a partner if he could get a Mercedes agency for them. He went back to Germany on a ship for that purpose in 1905. He was successful in getting the Mercedes dealership and therefore got the partnership. On that trip, he played checkers with Henry Schweiter, who introduced him to his daughter Lillie. 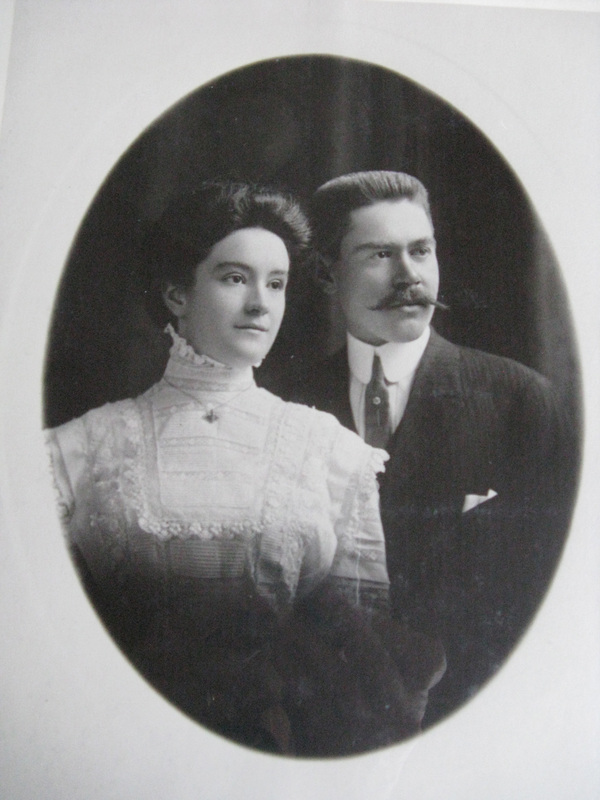 That was the start of the romance, which resulted in their marriage on June 2, 1909. Important owners of Mercedes cars who wanted to race them almost demanded that William drive them because of his experience with racing a Mercedes. The race cars then had no windshields and went about 50 mph at top speed. William’s riding mechanic was scared of going too fast and during races would call out to William to slow down. William would yell "Halt dein Mundt!" repeatedly as he kept speeding along. 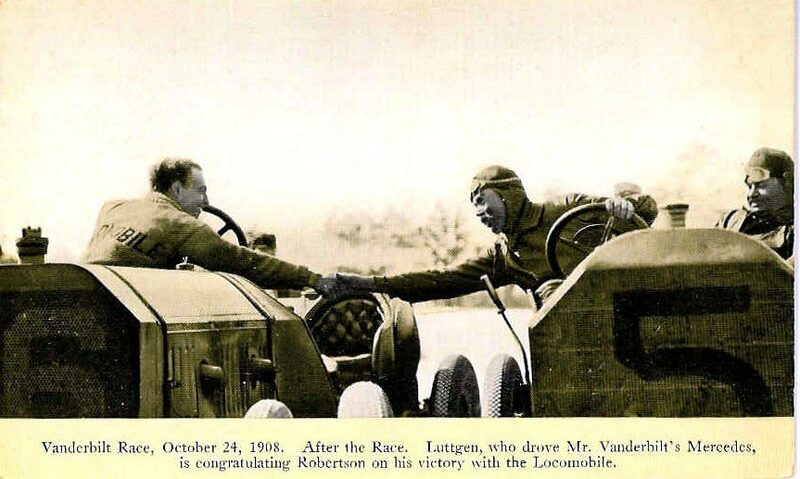 Meanwhile, William K. Vanderbilt Jr. organized the first international automobile races in America to test and improve American technology by racing against the Europeans. They were called the Vanderbilt Cup Races. William raced in these from the first in 1904 until 1908, being the driver in all but one, when he was the driving mechanic for Foxhall Keene in 1905. These races helped popularize the automobile in America, and were a proving ground for competing technologies. After the 1908 race, he married Lillie Margrethe Schweiter on the condition that he quit the dangerous sport of racing. A number of racers had been killed or injured in those early races, including his good friend who was paralyzed. One of the partners in the Mercedes dealership had a drinking problem and insulted some important customers. William decided he would like to own the business outright. The other partners agreed to sell to him if he could raise the money to buy them out. A wealthy customer, a Mr. Loft, the owner of a candy manufacturing company, agreed to loan William the necessary money allowing him to buy the company. William repaid Mr. Loft, who remained a good personal friend. The Steinway (piano) family had the exclusive right to assemble Mercedes cars in America. They built a factory on Long Island to assemble the American Mercedes. In order to save import taxes on finished parts, they imported rough Krupp nickel steel forgings for axle and possibly other parts, which they machined. At that time, Krupp nickel steel was the only alloy steel. The Steinway factory burned down in 1907, and they decided not to rebuild it and Grandpa was able to buy the Krupp steel ingots, castings and forgings for salvage – they were under water in the basement. William machined the Krupp nickel steel forgings as required for repairing cars. A man named Lawrence came to see if William would build experimental engines, which Lawrence had designed. The Curtis and Naval Aircraft Factory had the contract to build the planes for WWI, and Ford and Packard to build the engines. When the rocker arms on the Ford and Packard-built engines failed, they came to William and asked him why his rocker arms had not failed. William built a series of engines and a concrete test cell where the engines were run until they blew up, and then he analyzed the problem. He had the only supply of Krupp alloy steel in the US at that time, and machined the rocker arms and valve trains that worked. The finished product was the Liberty engine, the design of which was sold to the US government for use in American aircraft. William then subcontracted to make the rocker arms for Ford and Packard. Some of the American planes in World War I the war were equipped with Liberty engines with steel from Grandpa's shop. The Liberty engines got their fame during prohibition powering “rum-running” boats. William’s business was very lucrative prior to and during WWI. He was offered a million dollars for the business. 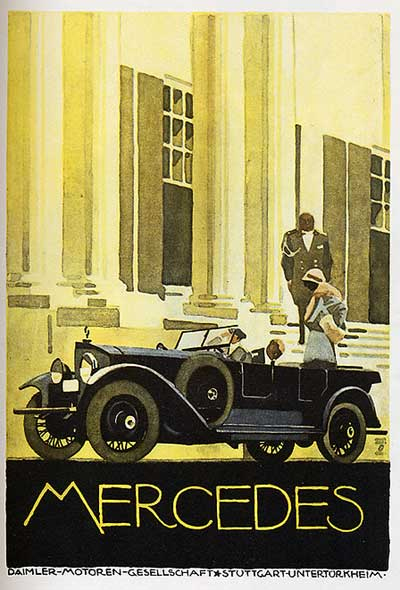 After WW I, people didn’t want to buy Mercedes cars. William also said that the psychology of defeat was evident in the German workmanship, which was not as good as before. He went back to Germany in 1923 and surrendered the Mercedes franchise. He sold the company for $60,000. He was successful in investing in commercial property in New York. He made a practice of buying properties for one-third down and paying them off as quickly as possible. The clear properties helped pay for new properties purchased. During WWI Granddad was able to provide for his mother by sending money to what we believe was the Danish embassy. After WW I, Granddad filled steamer trunks with hams, which he would then distribute amongst his friends on his trips to Germany. They lived very simply, and struggled through the depression. The family survived on Lillie's inheritance, and by doing most of the maintenance on some rental houses originally built by Henry Schweiter. William eventually paid off all debts in the early 1940’s. William and Lillie lived out the remainder of their lives in Wichita in relative comfort. William died on August 27, 1965 at the age of 88 and Lillie in August 1987. Thanks again Lisa Conley and the Luttgen family! Thanks so much for an amazing story! I very much enjoyed your story,he never gave up and apparently had givin great thought about the situation at hand He reflected a take charge and step up to the plate attitude, and the biggest of all “.“A man’s word is his bond.” Seals a deal like no other. Thanks for sharing. While surfing on this hot Saturday I found the story of Uncle William. Some of the stories I knew. I have never touched base again with Bob Bratzler when he was gathering the family history. The last few years I have been settling my husband’s estate and didn’t find time to do family history. I moved to independent living apt and am still going through many papers. Your dear mother Helen and I both had August birthday the same year year 1914.I am quite well. I remember you and your family and dad when I visited your home.